5 Commercial Real Estate & Properties in Charmhaven are listed in 2 categories. We have 4 Industrial Warehouses Sale and 2 Hotels and LeisureSale . 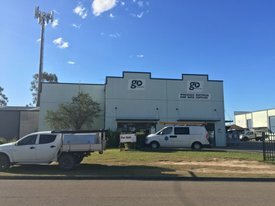 Absolutely brilliant unit with quality tenant (Go Electrical) who are established and currently paying $62,184 Net PA + GST. Lease is 5 years until the end of August 2021. Situated in busy O&apos;Hart Close in the heart of Charmhaven, this near new 455m2 (approx.) 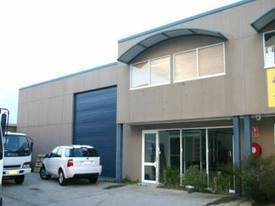 industrial showroom/warehouse is being utilised as a wholesale/retail facility with excellent fitout & ducted air conditioning. Other features include, 53m2 (approx.) mezzanine, M/F amenities, container size roller door, high clearance and an alarm, plus 5 car spaces. This fantastic looking unit with plenty of glass frontage and good exposure is now available for sale with a commencing yield of 7.3% Call us to arrange an inspection. BE QUICK FOR THIS ONE!! 12 DA approved industrial warehouse units to be ready to move in mid to late 2018. Located in one of the most sought after locations on the Central Coast at Charmhaven Industrial Estate. Conveniently located close to the M1 allowing for approx. only 1 hour trip to the Sydney metropolitan, and to Newcastle. Also positioned close to the new Bunnings Store (currently under construction), Lake Haven Shopping Centre, the Homemakers Centre Lake haven with National outlets such as the existing Bunnings, Harvey Norman, BCF, Anytime Fitness + many more. This industrial development will consist of solid concrete tilt up construction walls, with a height of 7m approx. 5m high roller doors and air conditioned office, kitchenette, amenities, 2 car spaces, overhead LED lighting, security fence, NBN ready and alarm, so come be part of a great new industrial complex within one the areas well established industrial estates. Developer will accept 5% deposit on the unconditional exchange of contracts.